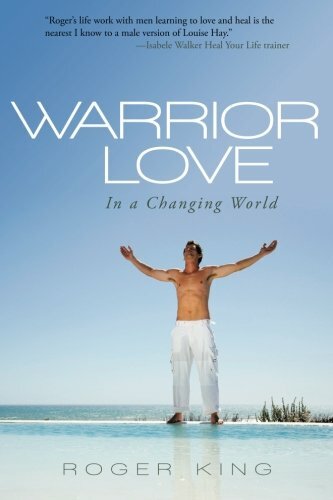 Roger King is the author of Warrior Love in a Changing World (Balboa Press, 2014), a book about polyamory, honesty, forgiveness, unconditional love, and courageously breaking out of conditioned societal norms. It’s a spiritual book with a noble aim: to assist in the transformation of collective human consciousness, so it can be “safe to be open and honest about our ability to love openly” (xiv). In this interview, I asked King some questions about both the book and his daily life as a poly person. Anya: You have 40 years experience as a counselor and group worker. How have these helping roles prepared you to write Warrior Love? Roger: I think the work with abused souls has allowed me to cope with both the perceived and real rejection from family and so-called friends who have turned against me with their negative beliefs. I truly forgive them. The whole experience of “coming out” through the book is a journey towards being more responsibly free. Anya: One of the key moments in Warrior Love is when you present the question: “Could humanity make a huge shift in consciousness and realize we are more naturally polyamorous than monogamous?” What has been the general feedback on this question? Do your readers believe humanity is ready to make such a shift? Roger: The feedback has been mixed. Some has been: “I am not going to read it! You’re suggesting people cheat on each other!” Other people love the simple honesty that could help one’s main relationship. Many times, in response to the question, the feedback has been no, people are not ready to make such a shift. However, when asking souls: “Have you thought about having a secret affair (or actually had one)?” …the truth is usually much more mixed and brings the person face to face with their hidden sexual and/or emotional needs not being met with all the changes and challenges of conventional marriages! Anya: Warrior Love is like a blending of a memoir, self-help book, and published diary. Which of these terms do you think best describes it? Why? Roger: The book has all those elements of a self-help memoir and journal. It was a vital challenge for me to regain my personal integrity with myself, first of all. I learnt while writing it that I was counselling myself, with questions and stories that helped me to receive insights. Anya: I really appreciated your emphasis on the power of forgiveness in Warrior Love. Forgiveness is a topic that interests me greatly; it’s a key theme in the polyamory book I’m currently writing. Could you share about a time when it was very difficult to forgive a loved one? What happened when you did? Roger: What I have learnt, and still experience, is self-forgiveness for lying to self and others. Looking into a mirror and actually saying “I forgive you, Roger, for…” and then letting the emotions come up. As I wrote in Warrior Love, my relationship with my father and mother was so mixed up with such tortuous mixed messages, yet when I listened to their childhood, my heart opened. I now thank my father for giving me such a strong body and a deep determination to lead my life with passion. I thank my mother for our deep friendship in her last years. To have complete resolution with my mother was so healing on many levels. As I forgave my parents, I opened the heart of my mind and body to receive love from a far more genuine and creative source. Plus, I stopped trying to please or rebel all the time. I have now attracted two lovers who are so intelligent and wise. They love me and challenge me with every fibre of their being. They both know about each other. Does it get complex at times? Yes. However, we are all learning to expand our capacity for unconditional love. Anya: In your work you take a holistic approach. For example, you write about transforming negative emotional states, such as jealousy and anger, as a way to gain total health and wellbeing. Do you have any practical advice for recognizing negative emotions before they build up and cause damage to the body? 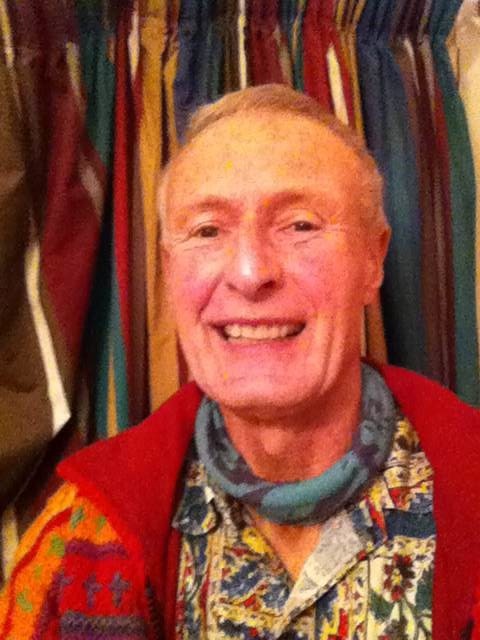 Roger: For me, keeping fit, dancing, meditating and good friends are vital for healthy ways to reduce and dissolve jealousy. Anger, I find, comes out in the bed and a good scream into pillows and kick like a baby helps me. Or a scream in the car! The biggest help is being a dancing DJ and doing the 5 rhythms dancing. Plus, learning dances like the Tango! Anya: In reading Warrior Love, I noticed a tension between your need for solitude and your need for relationships. How do you ease this tension on a daily basis? Have you found a sense of balance at this time in your life? Roger: The need for solitude and relationships is assisted by speaking beautiful affirmations to attract lovely lovers and friends into my life with arms and heart wide open. My favorite one is: I am open and receptive to all good. I said this for my new accommodation, and in the same day a woman coming for a session asked me to house sit for her while on a BBC contract. It met every part of my affirmation. What we put out with feeling comes back multiplied in often-unforeseen ways. I do need time for self and others and I know I can balance this now with an authentic yes or no. I often sit in cafés and people just come up to me and tell me their stories. I love this vibration that attracts souls who want to learn to lead their lives with an open heart! Anya: Do you intend to publish any further books on polyamory or relationships? Roger: Yes. I will be revising Love the Miracle You Are (self-published 12 years ago), and writing other books on relationships when inspired.